Discover the ethics of different brands that you can find on wildressing.com. The collections are 100% manufactured in France and thoughts in Portugal. All fabrics come from Portugal and are certified Oeko-Tex label which guarantees human-ecological qualities of textiles, ie they are free of toxic products for the body and the environment. 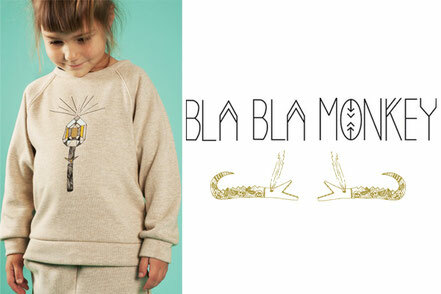 Bla Bla Monkey, a comet in the world of fashion for a planet more fun and more green. Family Swedish brand created by two sisters with two young families. The aim of the brand is to create practical and comfortable clothes. Most of the clothes are unisex. Tissue collection of bio Geggamoja is certified GOTS, the international standard best known for the production of organic textiles. Geggamoja ims to produce all responsibly and sustainably produced. This is an ongoing process between Geggamoja and producers. Their goal is to have a 100% sustainable society. 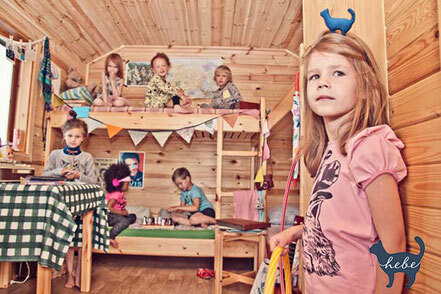 Hebe is a brand of children's fashion, which was created in 2011 and is based in Riga. Hebe is proud to produce locally in Latvia with a large part of the collection made from organic cotton. All Hebeclothes are characterized by simplicity and love for detail by focusing on quality and unique design. The philosophy of the brand is also based on cooperation, which is why the team of Hebe regularly invites designers and Latvian artists to collaborate on special designs and prints. n France, in 2005, Anne-Charlotte and Helen decided to create clothes for children respecting the environment and the welfare of artisans. La Queue du Chat sketch a subtle difference between classical and soft shifted by leveraging exclusive prints, funny and childish and subtle but present colors. Style and quality are his designs. The spirit La Queue du Chat is a decidedly childish silhouette, sober, refined and full of life. The whole chain of production of garments, cotton cultivation in the manufacture of clothing is certified: GOTS certified and production workshops FLO and SA8000. The brand was created by Duygu Hamdioglu Massol, who believes in the free spirit of children. In the mind of a child is fantastic worlds, which can not be easily accessed ... Les Petits Vagabonds est née, inspirée par ces voyages imaginaires. was born, inspired by these imaginary trips. The children's clothing brand merges the all-belief is, can with time transcending styles. 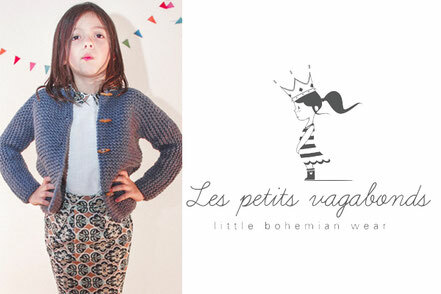 True to his wandering mind, "Les Petits Vagabonds" stay away from mass production and its products are designed and manufactured entirely in Barcelona. Pierrot la Lune is a Danish brand that was created in 2013 by designer Emilie VENTUJOL as the realization of a dream to create timeless children's clothing and sophisticated yet fun and informal. Pierrot La Lune look a touch of nostalgia; a dreamlike aesthetic and magical. The cuts are simple and easy to wear. Collections Pierrot la Lune are produced in organic cotton, GOTS certified and knitting is made of 100% alpaca wool and clothing are produced under conditions of fair trade. 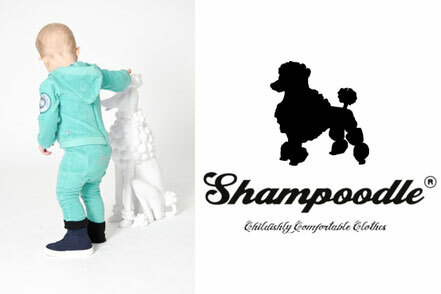 Shampoodle The brand was created in 2006. The Shampoodle brand represents an urban spirit, the clothes are comfortable and designed for the pleasure of all. The brand is designed in a spirit of respect for the environment and its employees. The pluplart products are certified organic cotton and are made in good working conditions.